On 18 September, Eindhoven celebrated the liberation day. 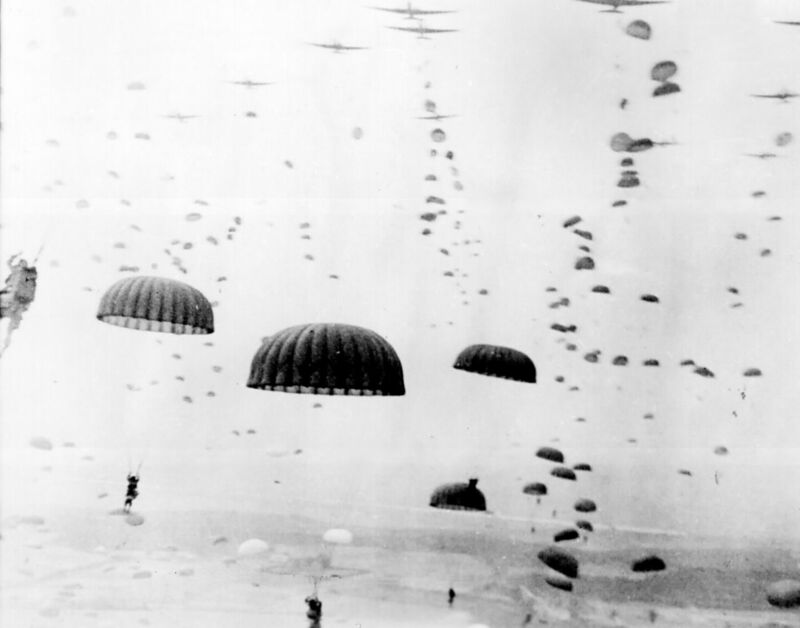 It was a day in 1944 when the Allies troops – primarily the British Army and the US Airborne Divison – captured the bridges around Eindhoven and secured the city in Operation Market Garden. It was one of the largest air and land operations seen in during World War 2. On that day, many welcome the troops marching into the city and it was the first time since the World War 2 when the residences of Eindhoven were allowed to put lights on in the evenings. Since the liberation in 1944, the residences of Eindhoven have been commemorating this day every year. This year Hayley and I went to the Liberation Day Parade which began at the 18 Septemberplein, which is the main public square in Eindhoven city centre. Men from the “secret hand-shake” club led the Liberation Day Parade. Not long the after the parade started, the city air raid siren came alive and this was followed by people dressing up in the US Paratroopers being driven down the streets of Eindhoven in many of the vintage US Army trucks and 4×4 army vehicles. Even some of the children were dressed up in the old allies uniform. More vehicles were rolling down the streets. Some children were carrying flags of countries who participated in Operation Market Garden. Apart from the people in the vintage uniform and their vintage truck, many of the current soldiers in the Dutch Army and WW2 veterans also participated in the parade. Dutch Army dressed in their artic camouflage gear. They were followed by Dutch Army in their ceremonial uniform. In addition, people in the marching bands, scouts and other clubs also took part in this parade. It was a truly a family event. The evening ended with the memorial service, which was held outside the Stadhuis (City Hall). The service began with the Last Post played by a bagpiper and followed by various speeches. It called for the remembrance of those who sacrifice their lives to protect our freedom. During the service, the national anthems of the Netherlands, France, UK and US were played. It was really nice to see the whole community came together to remember this piece of history. Although the night ended with this service, the Eindhoven Light Route was were lit up for the next 3 weeks to celebrate the fact the residence were able to switch on the light again. More about it on the next blog post. Have you been to a memeroial service to commemorate the end of World War I or II? What was your experience? Comment below! Fascinating. I am nostalgic for when the US was one of the good guys.